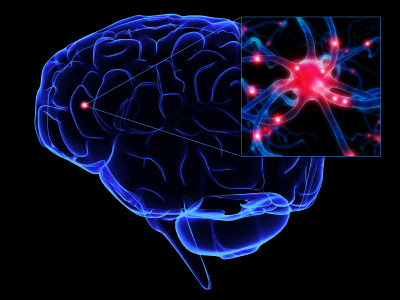 Drug reverses aging-associated changes in brain cells ~ Health Matters Today! Drugs that affect the levels of an important brain protein involved in learning and memory reverse cellular changes in the brain seen during aging, according to an animal study in the December 7 issue of The Journal of Neuroscience. The findings could one day aid in the development of new drugs that enhance cognitive function in older adults. Aging-related memory loss is associated with the gradual deterioration of the structure and function of synapses (the connections between brain cells) in brain regions critical to learning and memory, such as the hippocampus. Recent studies suggested that histone acetylation, a chemical process that controls whether genes are turned on, affects this process. Specifically, it affects brain cells' ability to alter the strength and structure of their connections for information storage, a process known as synaptic plasticity, which is a cellular signature of memory. In the current study, Cui-Wei Xie, PhD, of the University of California, Los Angeles, and colleagues found that compared with younger rats, hippocampi from older rats have less brain-derived neurotrophic factor (BDNF) -- a protein that promotes synaptic plasticity -- and less histone acetylation of the Bdnf gene. By treating the hippocampal tissue from older animals with a drug that increased histone acetylation, they were able to restore BDNF production and synaptic plasticity to levels found in younger animals. "These findings shed light on why synapses become less efficient and more vulnerable to impairment during aging," said Xie, who led the study. "Such knowledge could help develop new drugs for cognitive aging and aging-related neurodegenerative diseases, such as Alzheimer's disease," she added. The researchers also found that treating the hippocampal tissue from older animals with a different drug that activates a BDNF receptor also reversed the synaptic plasticity deficit in the older rats. Because histone acetylation is important in many functions throughout the body, these findings offer a potential pathway to treat aging-related synaptic plasticity deficits without interfering with histone acetylation. "It appears that lifelong shifts in gene regulation steadily deprive the brain of a key growth factor and cause a collapse of the 'machinery' supporting memory, cognition, and the viability of neurons," said Gary Lynch, PhD, a synaptic plasticity expert at the University of California, Irvine. "The very good news suggested by this study is that it may be possible to reverse these effects."